Are you a laid off miner or worker? You may be eligible to earn a degree for free! If you’ve lost your job as a result of increased foreign trade activity, you may be eligible for federal Trade Adjustment Assistance (TAA). & more, depending on the student and specific degree needs. Do you already have a two-year degree? 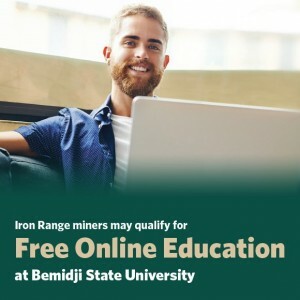 Explore your on-campus and online education opportunities with Bemidji State University. Looking for a two-year or technical degree? Visit Northwest Technical College for great online or on-campus programs. The 360 Career Ladder shows you the various positions a person can hold and the pay you can expect, based on your education. Trade Readjustment Allowance (TRA) is extending Unemployment Insurance (UI) benefits for TAA participants who are enrolled in full-time training. TRA can extend regular unemployment insurance benefits for up to a total of 130 weeks. Trade Readjustment Allowances (TRA) are available to continue to provide income support while you are participating in full-time training. The amount of each weekly TRA payment is based on the weekly unemployment insurance (UI) benefit amount you already have received. You must have been entitled to receive UI benefits before you may receive TRA and you must have exhausted your UI entitlement. How do I sign up for the TAA program?